When we asked what makes Above All Home Care a “notch above all”, the words family, integrity and care come to mind. At Above All Home Care, these are more than goals we strive for, they clarify who we are individually, collectively and they are the core values with which we provide for your needs. Making the decision to bring an outsider into your home to help brings concerns over costs and who will provide the care. We understand those concerns and have designed programs that allow clients to remain comfortable at home while receiving the highest quality of home care available. Perhaps a loved one who lives alone and may need help with their daily living activities; who would also like to stay at home rather than being institutionalized or live with relatives. In Other cases, it could be a person whose family caregiver needs a respite or time off from their care giving responsibilities. A new Mom with other children and responsibilities may also require assistance to support the family until her strength returns. Any adult recovering from major surgery may need additional support, housekeeping and cooking services. Above All Home Care caregivers are our employees. Each has been carefully interviewed and screened as well as bonded and insured to provide our clients complete peace of mind. Our caregivers are not nurses, they are companions, helpmates and friends. How long will it be until Service with a Caregiver can begin? 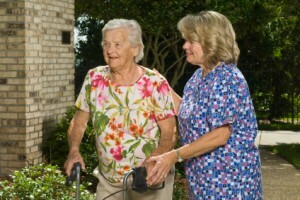 We have a team of qualified and ready caregivers willing to begin immediately. We review your needs through a FREE in-home Service Evaluation. Working in conjunction with family, we develop an individual program to suit your daily needs. You determine your schedule, it is our job to conform to that schedule and see to it that you remain comfortable in your own home. After we fully understand what you are looking for, we can place a caregiver within a very short period of time. What will happen if my caregiver is sick or goes on vacation? Our team of on-call caregivers is ready on a moment’s notice to be there in case of sickness or emergency. Consistency of care and service is a priority to Above All Home Care. We bill on an hourly basis most of the time, and have live-in caregiver programs as well. The hours required to properly care for your loved one will be based on their needs. We are dedicated to help, and will do our best to work within your budget and guidelines as we offer a variety of service options. In addition, we accept all major credit cards. All of our caregivers are employees of Above All Home Care, Inc. We simply invoice you for the services rendered, then WE pay the caregivers, along with payroll taxes (including contributions to Medicare, Social Security, State and Federal Employment Surety Tax, Worker’s Compensation), insurance, benefits, and other administrative requirements. When you directly hire a caregiver, keep in mind the risks involved. Worker’s Compensation Insurance: if the caregiver injures themselves while on duty the insurance will cover all costs of medical care and missed work. Conversely, if the caregiver is your employee, they will have the right to sue you for all their medical expenses and disability coverage. Bonding: bonding protects you from theft and breakage. Why should I use your service instead of an employment agency? Our caregivers are our employees – That means they have been carefully screened and are bonded and insured. You don’t have to worry about the quality of the caregiver or about the liability of having someone in your home – we assume that responsibility. We have backup – If a caregiver is sick or has an emergency, we have someone ready to step in. We have trained professionals on our staff – In addition to our caregivers, we have trained professional in-house staff to ensure our operations run smoothly and to address any of your concerns while we are caring for your loved one. We continually monitor the relationship – From the first day of service, we create a detailed Service Plan that our staff use to assure we are achieving the goals specified during the assessment. We mandate all our caregivers to monitor and record information on a daily basis. These forms are required to be filed weekly.